All in less than 20 seconds. 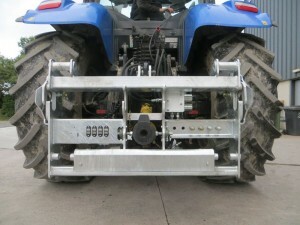 Farm Hitch is a tractor mounted device to enable safe efficient connection of farm equipment which use a 3 point linkage. Farm Hitch ensures you never need to leave the tractor cab while connecting to these implements eliminating the risk of injury while completing this task. Of all the deaths in farm related incidents in Ireland none have occurred while the driver was in the cab connecting an implement. Safety – No risk of incident which arises from being positioned between the tractor & implement during connecting. PTO guard is always in position. Hydraulic check valve on top link. Comfort – Do not leave your seat while you connect, Rain is not an issue. Less Stress – Relax knowing swapping implements is no longer a chore. Increased Efficiency – Minimum time lost Drive away in less than 20 seconds. Cost Saving – One tractor now can complete multiple tasks with minimum fuss. Fuel Saving – No more fuel wasted with the tractor running while you spend time connecting. Reduced Maintenance – Hydraulic hoses & cables connected permanently to IMA even when disconnected, no more contaminated hydraulic oil or damaged plug tops. 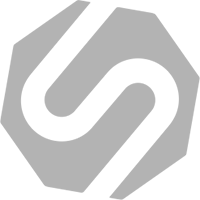 Precision Engineering – Perfect fit on all tractors with minimum installation time, implements perfectly centred with tractor. Adjustable – 3 point connections adjust to ensure simple secure connection of various implements. Disconnect Prevention – Hydraulic locking pins controlled from tractor complete with warning buzzer & safety position limit switch. Interchangeable – Certain items are interchangeable with JCB Teleporter. Reliable – Connects first time every time, No messing with stabilising arms or PTO.